sweet potato & black bean soup. 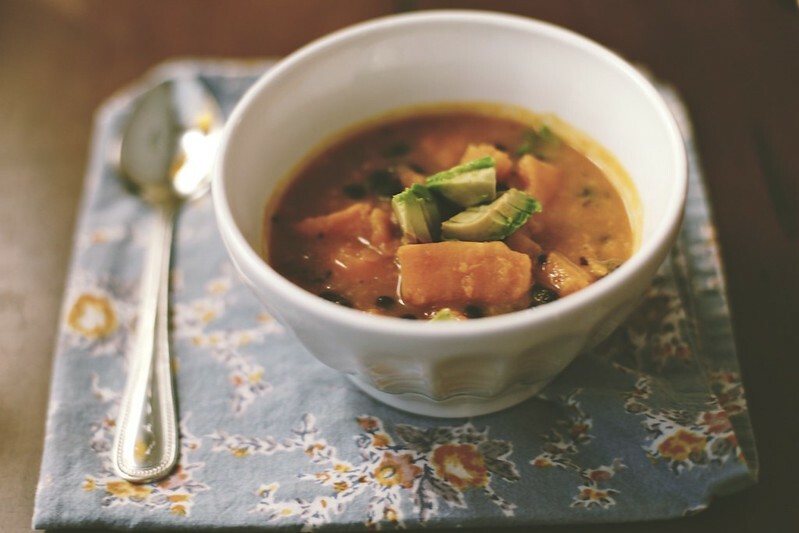 Sweet potato and black bean soup -- or, my new favorite dish in the world! Maybe it's not appropriate for me to start craving soup when the temperature in Charleston reaches ninety, but lately soup has been all I want. Adapted from Sprouted Kitchen's Black Bean Butternut Soup, it has perfect balance; sweet and spicy, hearty and healthy. Directions: Sautee onions and garlic in olive oil. Peel and cube sweet potatoes and throw in the pot on medium to high heat. Add four cups of vegetable broth, cover, and let simmer until sweet potatoes are soft (about 15 minutes). Add a can of black beans, some cumin and cayenne pepper. With an immersion blender, blend until desired texture (I like keeping it chunky). Finish with avocado.